Top Ten Tuesday is a weekly meme hosted by the lovely ladies over at The Broke and The Bookish. 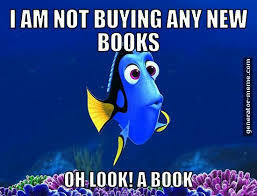 IT IS A THING TO JUST WANT TO OWN ALL THE BOOKS THAT YOU CAN AFFORD WITH THE PENNIES IN YOUR POCKET. Since I started blogging two years ago, here are some books that I OWN, but haven't read in TWO YEARS! THIS SOUNDS AMAZING, OKAY? And I will read it, I swear, I just need to actually get around to buying the next two books so that I can fully binge the series without dying in wait and THEN I WILL READ IT. I got the won the second book, Astray, in a YASH Prize Pack, and then when I visited Australia last year, I found Gated at a PayLess store for only $6 and I HAD TO HAVE IT. Unfortunately, I haven't gotten to this cult story yet, but I hope to very soon! I was sitting around in the bookstore, when I stumbled upon these books! I decided to read the first few chapters (OR WHATEVER I COULD) and I really liked and bought the first two books. Unfortunately, IT HAS BEEN TWO YEARS, and I haven't gone past what I read in the bookstore. I LOVE LOVE LOVE REVENGE PLOTS! I love SECRET SOCIETIES! I love Secret Societies whose priority is to make bullies learn their lesson THE BEST, but despite having this book for TWO YEARS, I haven't started read it. Sigh. ALRIGHT, This is ONLY because I don't have (and cannot afford to import) books TWO, THREE AND FOUR. Also, It is SO SO BEAUTIFUL, I can't even give it away. Also, it is personalized to me! This awesome book was sent to me by Gina over at Behind The Pages, and despite opening the book, I've never gotten past the first chapter. This is mostly because I read SO MANY negative reviews about it, it has throughly ruined it for me. Here originated my rule of NEVER READING NEGATIVE REVIEWS of a book before I read the book. Another YASH Win, I've been obsessed with this series since I saw it for request on NetGalley the day I joined, but because I dont have the others, I HAVEN'T READ this gorgeous specemin of a book yet. THIS IS THE BOOK I'M SADDEST ABOUT. I should have read it before Queen Of Shadows, but I just DIDN'T FIND THE TIME TOO. The plan is to read it before Empire of Storms (AAAACK! TWO WEEKS!) and then die once I speed read through EoS because I'm sure that ending is going to be brutal. How many of these books have you read? Did you like them? Am I being a complete IDIOT in not reading them even now? How many of these have you NOT read? What are the books you have on your shelves that you haven't read? Link me up to your beautiful blogs!